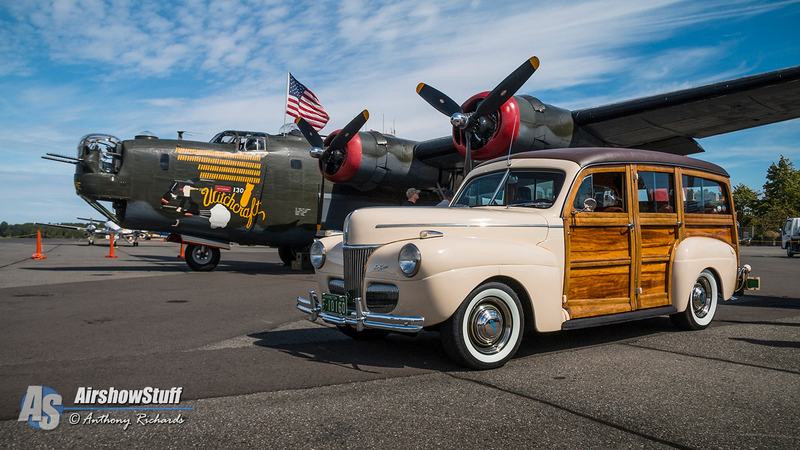 Established in 1979, the Collings Foundation’s mission is to organize and support “living history” events that enable Americans to learn more about their heritage through direct participation. 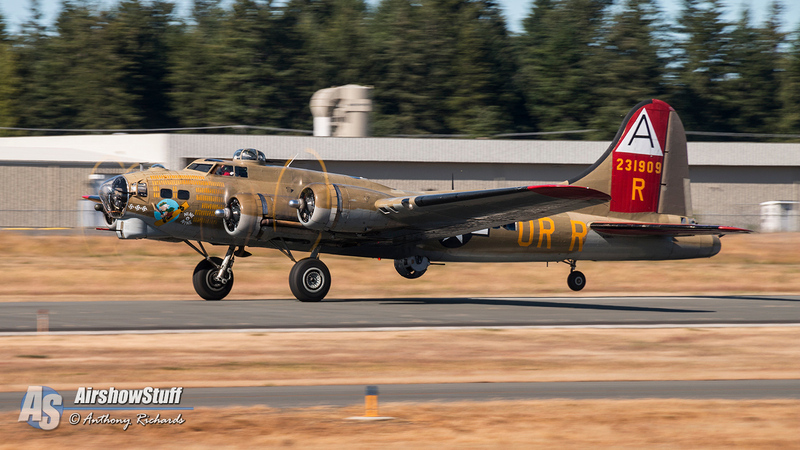 In 1989, the foundation began to focus on the Wings of Freedom Tour, which began with their fully restored Boeing B-17G Flying Fortress “Nine-O-Nine” and Consolidated B-24J Liberator that started as “The Dragon And His Tail” before recently being repainted as “Witchcraft.” In recent years, their North American TP-51C Mustang “Betty Jane” and B-25 Mitchell “Tondelayo” have joined in the tour, though rarely are all four together. This year is the exception, as Tondelayo joined the other three already on tour in the Pacific Northwest. 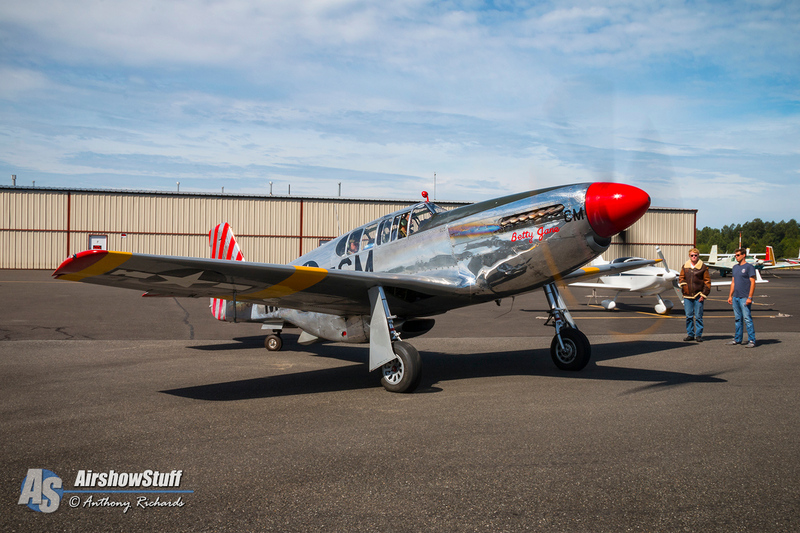 While it’s thrilling to see these aircraft fly, the Collings Foundation ups the experience further by allowing paid ground tours and flights at each of their destinations. 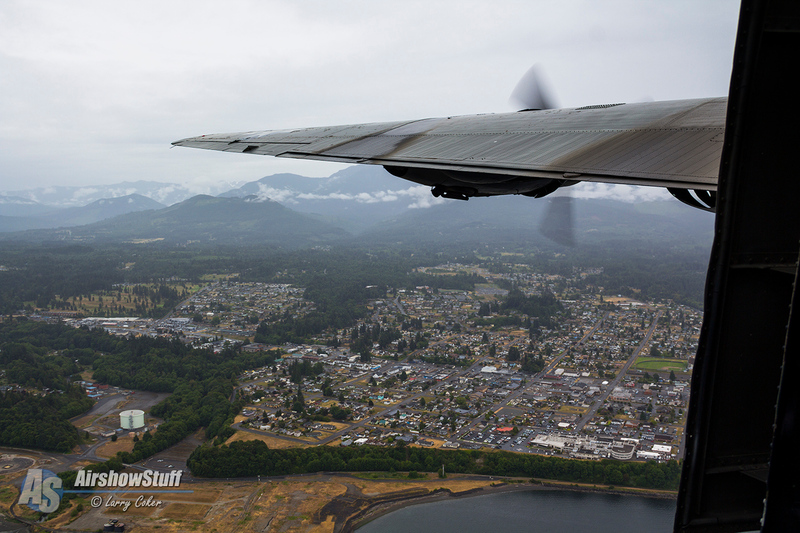 Appreciation for a World War II bomber can be found within the small, metal interiors where one can walk from nose to tail taking in the environment that was home and office to young aircrews during the war. Walking around the outside, one can see the blistering armament that served as the aircraft’s only self-defense against determined enemy fighters. But to truly experience the aircraft and the heritage they represent, you have to get airborne. A flight aboard the bombers costs $450 per person, and is well worth the investment. The crews take you through a safety briefing and allow you the opportunity to turn over the propellers on the engines to prepare for takeoff. Once inside, you can find decent seating in the waist and radio operators room with windows to watch startup and liftoff from. For aviation fans, the sound of those old radials turning over and roaring to life from inside is an exhilarating feeling all its own. Once in the air, all engines humming together, you can get up and tour the aircraft again, seeing local landmarks and terrain below from a perspective otherwise lost in commercial travel. 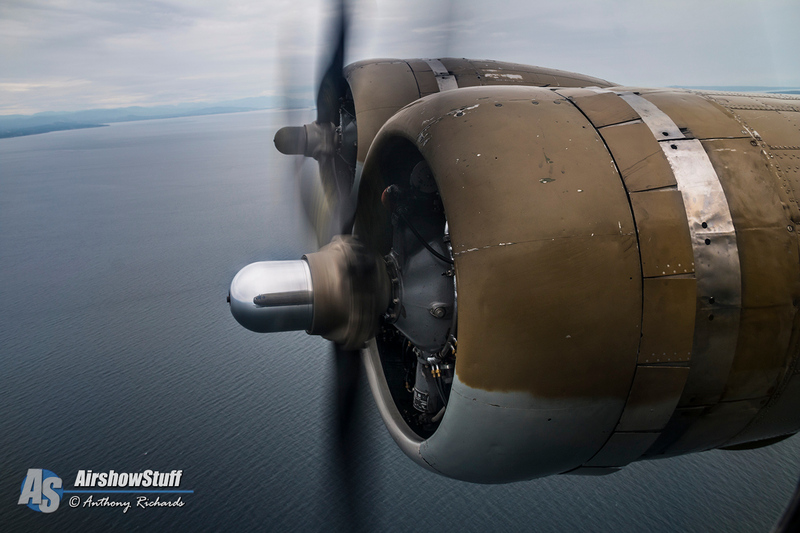 However, the tour isn’t just for those aviation and history enthusiasts to enjoy and travel back in time with. 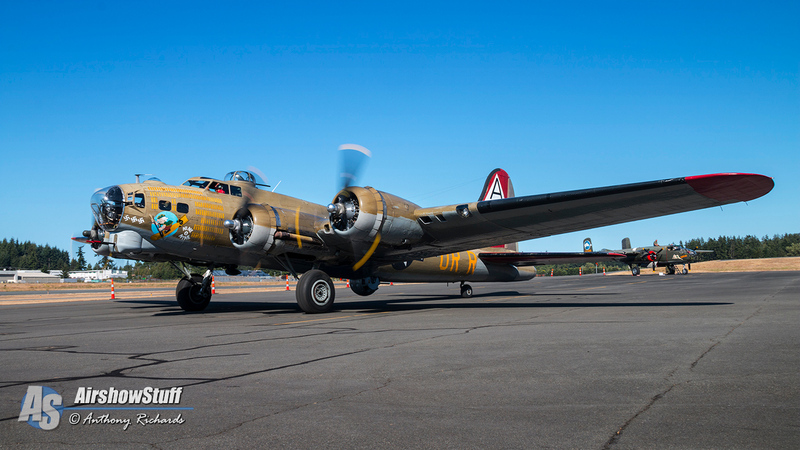 Veterans of the war can take advantage of visiting these aircraft that hold sentimental connections to their past service and the people they knew during it. 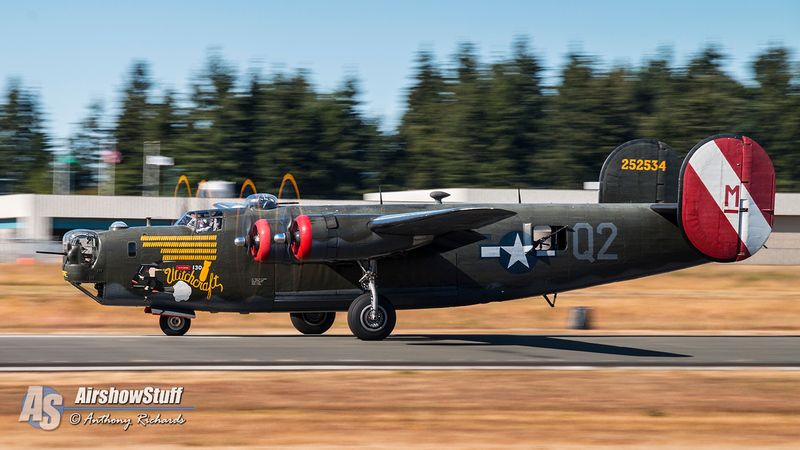 The quality restoration work done on each of the participating aircraft is best appreciated by those veterans that served aboard them and whose eyes and hands can best remember their look and feel. The same can be said for those who built the thousands of aircraft from stateside factories. For them, there could not be any better opportunity available today. The chance to enjoy and learn from these aircraft is thanks to the force behind the Collings Foundation’s success and support: its volunteers. People of all walks of life have made grand commitments to the restoration and maintenance of these aircraft at their home and abroad, and it’s that spirit of involvement and investment that keep these symbols of history flying through the years to come. 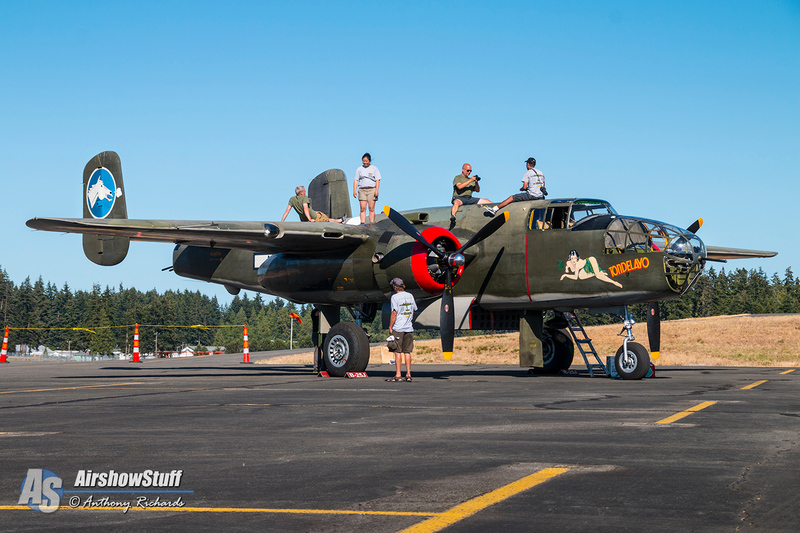 The air crews that command these aircraft from site to site are all volunteers with their own history to share, as well as those who man the booths and organize the event. When you visit the tour at a stop near you, take the time to thank them for their work and learn from them and others there. *Schedule as of July 11, 2015. 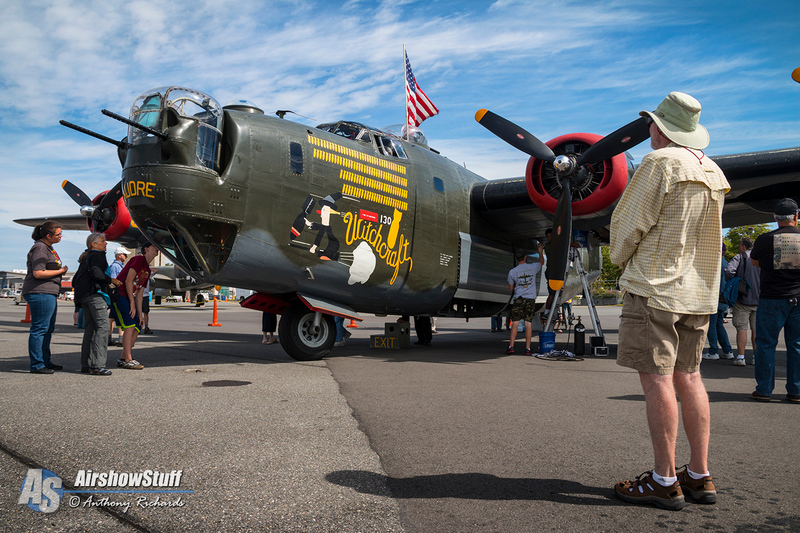 Thank you to the Collings Foundation, Hunter Cheney, and Ryan Keough for allowing us to visit the tour and hop a flight on the B-17 and B-24 from one stop to the next. The experience was wonderful as always! My father was a tailgunner in the B-24 during WWII in the CBI theatre. Just learned you might have one of these flying in Indiana soon. Would love to know more details and would like to try to attend.